Paul Ajosshi: When is a Steak not a Steak? 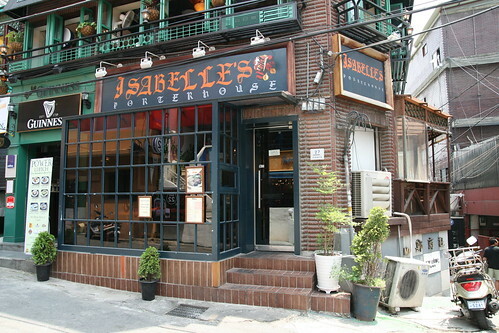 For the past week or two I have been walking past Isabelle's Porterhouse in Itaewon and the Country Fried Steak has been calling to me like a crispy, juicy, beefy siren song. Today I succumbed and decided to fork out 22,000 won (plus tax) of my hard earned cash for a little Southern style treat. So with glad heart and good cheer I stepped inside this quaint little restaurant. Seating just over twenty, it has a faux British pub ambience and British prices to match. A New York Strip steak goes for 45,000 won, a filet mignon for 49,000 won and a whopping 850 gram Porterhouse steak for 90,000 won (for two). 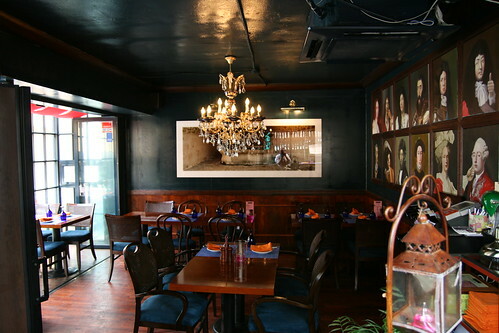 The Country Fried steak at 22,000 won seemed like a bargain in this pricey joint, there couldn't be a catch could there? 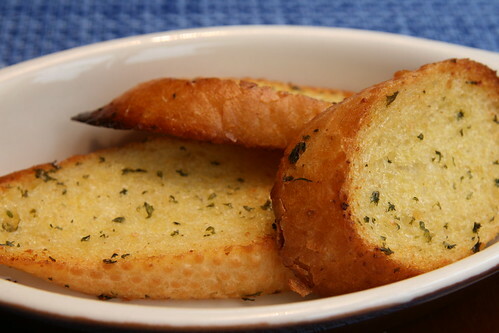 First came some complimentary garlic bread, not bad as standards go, but I wasn't satisfied, I wanted the steak! The steak itself was tender and relatively tasty, except for one small fault - it tasted awfully piggy. Forgive me for my presumptions, but I had assumed that Country Fried Steak unless otherwise stated would be beef. Every other main course on the menu was beef, and the only pig product mentioned on their meat disclaimer was French bacon... Was it unfair of me to think this way? Checking the internet you can see that wikipedia, texascooking.com and foodtimeline.org all describe Country Fried Steak as being beef and Isabelle's Porterhouse does seem to specialize in slices of moo-cow. I can only imagine your bewilderment at being served a port chicken friend steak. As a Korean American living in Dallas, Texas, I assure you that chicken fried steak is made with beef. 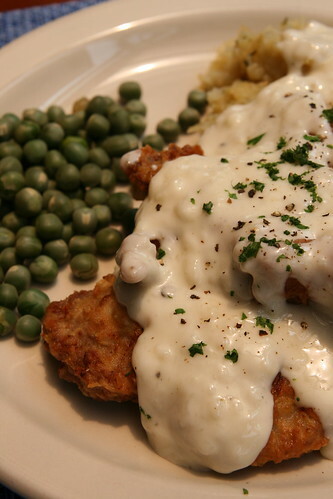 In fact, I think there's a Texan law that allows a public hanging of anyone caught serving pork chicken fried steak. If there's no such law, well, then, there should be, because it's sacrilegious. : ) Sorry for the ruined meal, and better luck next time. I just let out a few non-choice words in the office. Country Fried Steak is BEEF. What they served you was a pork chop. Yup, country fried steak is beef. Not always the best cut of beef, but beef. It may have been mashed and tenderized, but it's beef. Fried porkchop with gravy looks like what you got served. No less southern food authority than Mary Mac's Tea Room in Atlanta will tell you. Thanks Justin and Juicy. If only I could visit Mary Mac's Tea Room, it looks like a fantastic place.